Congratulations and thanks to all our children here at Birchington CE Primary School for their help and support on Red Nose Day. We raised a staggering £388.78 for the charity. Our School Council devised a range of activities to raise funds,including a Lucky Dip win a teddy draw in EYFS and Phase 1. The winners were Summer 1B and Sophia 2D. Years 4, 5 and 6 had the opportunity to Buy a Joke on the playground to raise funds for the cause, and Lesley used all your wonderful cake donations to run an end of day Cake Stall. Thank you to all involved. On Thursday 21st March Birchington CE Primary School hosted a Year 6 Maths competition with other local schools. 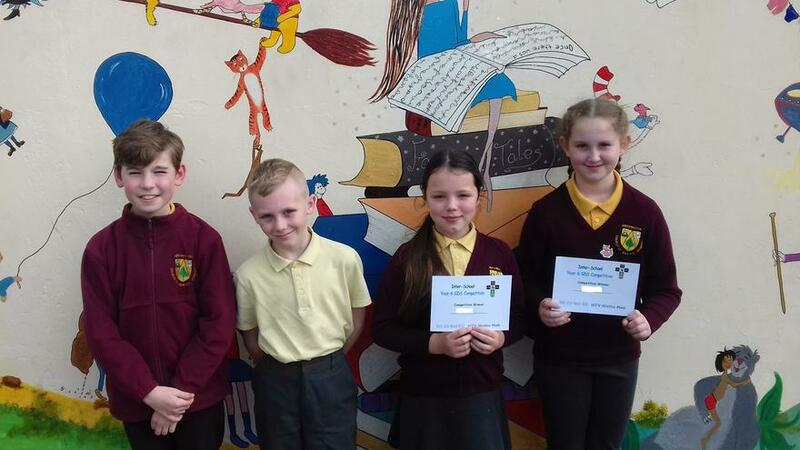 Children from four schools took part in teams of two and the children had to answer some incredibly challenging questions aimed at children working at the Greater Depth standard in the curriculum. The children’s brains were really put to the test and all four children from Birchington CE Primary School acquitted themselves admirably. The standard of mathematics was very high from everyone, so huge congratulations must go to Phoebe and Bella from Birchington CE Primary School who came out as competition winners!